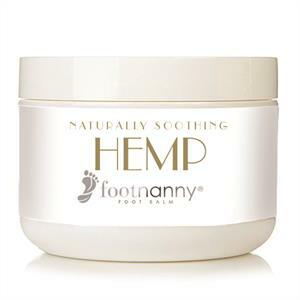 Footnanny's Hemp Foot Cream combines shea butter, cocoa butter, vitamin C, and vitamin E, along with with cold pressed processed hemp oil. Hemp oil has been used in hundreds of beauty products for decades and is known to ease dry skin, reduce inflammation, and alleviate issues such as eczema. Foot Balm features a gel-like formulation. For more information, visit Footnanny.